An Internal Campaign Planning Committee composed of faculty, staff and students will facilitate the collection of proposals and opportunities with broad university scope that, with potential philanthropic investment, would enhance Northern’s levels of innovation and excellence. 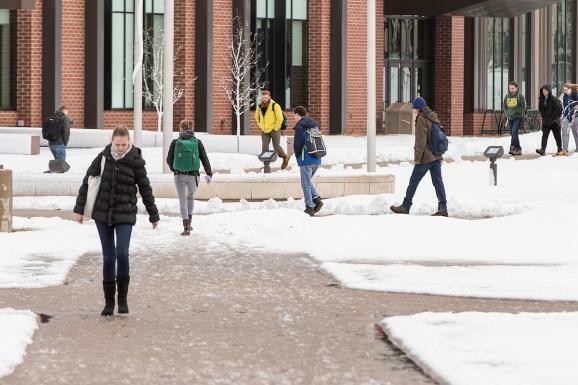 The committee will be responsible for developing and presenting recommendations to the NMU Administration, the NMU Foundation and their respective boards as part of the ramp-up to a proposed campaign currently scheduled to begin in 2020. The committee is developing a website featuring an online idea submission form, video presentation and its formal charge. A link will be provided in January. The committee will also be gathering and vetting ideas from the campus community through a variety of group-based and peer-to-peer methods. The committee will submit its written report to the NMU president and NMU Foundation CEO by May 2019. Other members of the NMU Internal Campaign Planning Committee are: Stacy Boyer-Davis, Business; Rhea Dever, HR; Bill Digneit, Communication and Performance Studies; Hugo Eyzaguirre, Economics; Chris Greer, Dean of Students; Carol Johnson, Business; Bridget Kyle, Athletics; Joe Lubig, Education, Leadership and Public Service; Cody Mayer, ASNMU; Jason Nicholas, Institutional Research and Analysis; Cindy Paavola, Office of the President; Brandon Sager, Engineering and Planning Robyn Stille, Alumni Relations; and Rob Winn, Arts and Sciences.